CuraDebt has been helping individuals and small businesses for over 19 years nationwide making the company and team one of the oldest and most experienced in the debt relief industry. 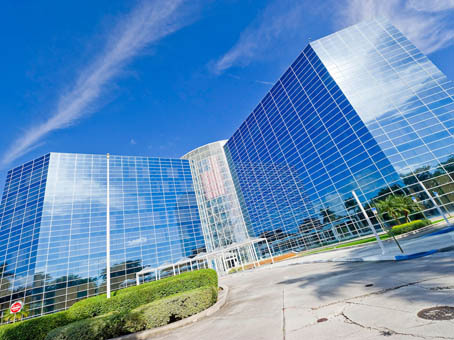 Services offered in Florida office or by phone nationwide: consultations for tax debt, tax debt advice, debt consolidation, debt relief, debt help, consumer credit counseling evaluation, debt settlement, debt negotiation, and other related financial guidance. CuraDebt Systems, LLC is a Nevada Limited Liability Company that is registered as a foreign corporation in Florida. The company is also licensed in Florida. CuraDebt Systems, LLC also holds bonds, is licensed, and/or is compliant with all applicable laws where it operates. CuraDebt has received more Five Star reviews in Customer Lobby than any other debt relief company. Customer reviews are the best way to help you make a good decision. Customer Lobby is a web service proactively inviting end-customers for reviews and will verify their authenticity before publishing. Their reviews are authentic. They are leaders among customer reviews companies that conduct call-based reviews as a component of its service. Read some testimonials to learn what others are saying about CuraDebt. ShopperApproved is one of the largest review aggregators on the web and trusted by millions when they need to know how other people rate a product or service. The site includes complaints, scams, and reviews from prior clients of companies. CuraDebt is proud to have a 5 star average with ShopperApproved which shows how happy our clients are with our service. CuraDebt is a member in good standing of AFCC, the largest and oldest association of debt relief companies. In order to be a member of AFCC, a company has to follow a stringent set of requirements, disclosures as well as maintain them through continual review. PowerProfiles.com, the official & online business database is much more than just a business to business directory, PowerProfiles.com helps member businesses to grow and build trust with consumers. Honesty and integrity are two of the most important qualities when you choose to work with a company to help you. HONESTe Online is the rating and certification business bureau that ensures this. Click on the logo to view details and verification. The Online Business Bureau exists to allow consumers to investigate if a business is legitimate and fulfills what it promises you. You can click on the logo to the left to view CuraDebt’s report. We recommend that you ask any company that you are considering working with if they are members of the Online Business Bureau. 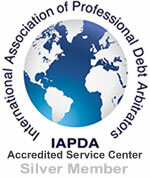 CuraDebt is an Accredited Service Center by IAPDA. The goal behind following the guidelines as taught by The International Association of Professional Debt Arbitrators is to give you the best possible information in regards to evaluating a debt relief option. At CuraDebt, over the 16 plus years of working nationwide and helping thousands of people and small businesses, we have created our own internal training series to supplement the training from IAPDA for our counselors. The Netcheck Commerce Bureau was established in 1995 to promote ethical business practices worldwide and to increase consumer and corporate confidence in purchasing products and services on the Internet. The U.S. Chamber of Commerce is the world’s largest business organization representing the interests of more than 3 million businesses of all sizes, sectors, and regions. CuraDebt is a member in good standing and continues to support the activities that help promote new business growth throughout the USA. As part of CuraDebt’s commitment to create more jobs for Americans, for years, CuraDebt has donated to SCORE, a USA non-profit that coaches hundreds of thousands of small businesses to succeed and employ more people. The company is committed to a scam and complaint free country. Get a free savings estimate by simply completing the form to see if you qualify. One of our debt counselors will contact you to discuss your debt relief options or contact us at 1-877-850-3328.